Mobile applications have always presented many advantageous opportunities for businesses. Still, there’re lots of small and medium companies who are afraid of establishing a mobile app and willing to believe that having a website is sufficient enough. Well, big mistake. A mobile app can actually help increase sales, contribute to brand recognition or produce statistics for valuable customers analysis. 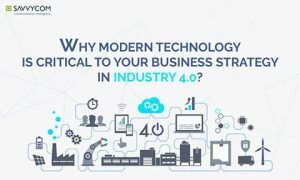 If your business is still wondering whether to invest in a mobile app, then keep on reading this article because we’ll provide more reasons on why you should seriously consider this effective technology solution. What companies should consider building a mobile app? A mobile application can be a channel through which helps you increase the company’s profit. Not only does it make your business stands out but also with frequently updated features, you can motivate customers to purchase products or services. Another advantage of an app is the ability of online mobile payments, allowing customers to purchase from anywhere, anytime. A great example of this is Domino’s Pizza. The business has witnessed a growth of over 25 per cent in UK market online sale after 6 months since its launch of a mobile application and now, half of Domino’s Pizza online orders are to proceed through a mobile app. Customer loyalty is an important prospect of business that you need to focus on. The fact that your customers come back to your store or office for the second time can provide your business with steady revenue. This can be achieved by regularly remind your buyers about the product you sell or the service you provide. And what better and easier way to establish the connection between buyers and sellers than building a mobile app. A mobile app with constantly updated rewards or offers will let customers be noted of your existence 24/7. Seeing this amazing potential, Starbucks has soon established and enhanced its communication with customers through a mobile application. With the purpose of making the ordering and payment process easier for customers, a mobile app with features that allow customers to buy a gift card, redeem offers and even tip the staff is built. With more than 11 million sign-up mobile app users, over 20% of Starbucks’s transactions are proceeding online. Since then, Starbucks has always been a pioneer, a leading example case in the field of mobile e-commerce. An app serves many functions such as providing information, offering discounts and bonus, etc. All the information that you’d like to deliver to customers can be easily delivered by a mobile application, especially through the push notification feature. With mobile apps, business has a better chance to interact with customers and allow them to actively engage in the buying experience. Pursuing this advantage as the key success, Hnail has been developed by us, Savvycom, to bring in a new solution for the connection between nail salons and customers. With features that allow customers to book an appointment, choose their favourite artist, select the nearest shop location, etc., Hnail has made the process of nail treatment booking easier and less time-consuming. As well as that, every piece of information relating to discounts, new rising stores location or trending nail style/colour option is presented thoroughly, enhancing the beauty experience for customers. Having an app for your company is a wonderful tool to display your product or service through various marketing campaigns, in a way that will attract their interest. The more often your customers get accustomed to your brand, the more successful you get when raising brand awareness. You can even expand your potential customer market and develop trusting relations with them. In 2014, Nokia corporation introduced Nokia Street Kreatives mobile application, which was run on Nokia Lumia devices and specialized for the South African market. The app allows NSK users to create street content using Nokia Lumia and then easily share posts on multiple social media networks. After a year of launching the app and campaign, NSK has created an outstanding number of social posts, which lead to an increase in Nokia’s brand awareness. Since mobile applications are still uncommon for small and medium companies, this is the time when you can make big progress in the competition. Having a mobile app makes every business stands out, giving the impression of a tech-savvy company. Why not be the first in the neighbourhood to offer a mobile app to your customers? One of the best things about the mobile app is that you can collect a lot of useful information for future analysis. By tracking downloads, user engagement, and what interests people have, you can develop a thorough insight into your customers and later on improve the app for better user experience. Understanding your consumers is always the key to success in any business. As useful it may seem, the mobile app isn’t for every business area. Companies which are working in these fields can take into account of establishing a very own application. Should your business works in any of these fields, it is worth considering to experience all the advantages mentioned by having a mobile app. However, it is important to bear in mind that any product or tool must serve specific purposes and contribute to the development of the company. Therefore, it is necessary to plan a checklist of crucial functions for a future app. If you are among the first to start using a mobile app as a marketing and sales tool, congratulations because you now have a solid base to strive in the future. Since mobile apps can bring many benefits to almost any company, we hope after this article, you can make the best decision for your business. Now, if your company is ready to venture in the world of having a mobile app, where should you start? 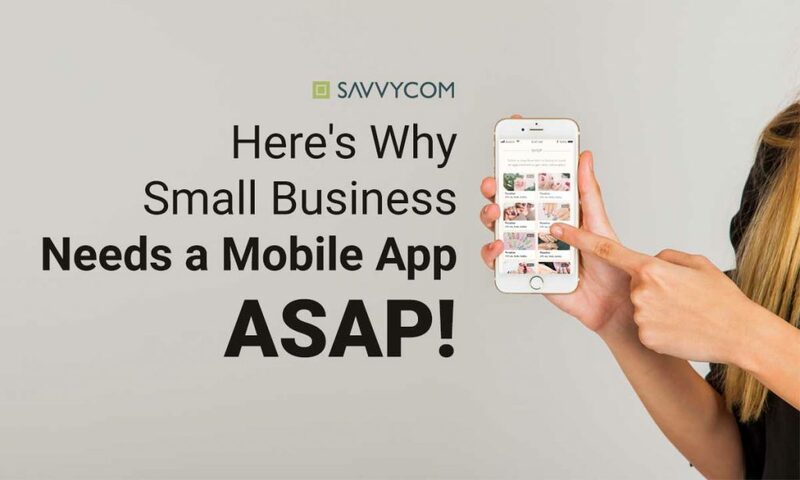 Well, you can either hire an app development agency or bring your own in-house app development team on board or use one of the most trusted mobile app builders like Savvycom to build your own mobile app without any worries. We’re happy to discuss with you to find out the right mobile app solution and send out our professional team and experts to support you in the projects.